My computer is chiming again as I write this. I have an incoming call on my Google Voice number, but I'm not answering it. I want it to go straight to voice mail. My students are calling in their memoirs. Yep, that's my GV number. Call me if you want to. If you are a regular reader of this blog you know I'm not the most traditional of English teachers. 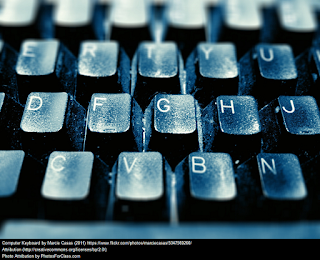 I try things, and I look for ways tech can help me solve issues in our classroom, even low tech ways. My latest low tech tool, phones. Okay, sometimes smart phones, but any phone will work, even (gasp) a land line. I have my students call me and read their writing to my voicemail. I have a Google Voice number. This is a free phone number you can get from Google if you already have a Gmail or Google Account. Calls to my Google Voice number ring on my computer (if it is on, and not muted) and on my cell phone, if I want them too. I will grade the call and the writing separately. I give them full credit for calling on the due date and a few points lower each day after, until we reach a 70% threshold. I'll always give them the 70% even if they finally make the call weeks later. 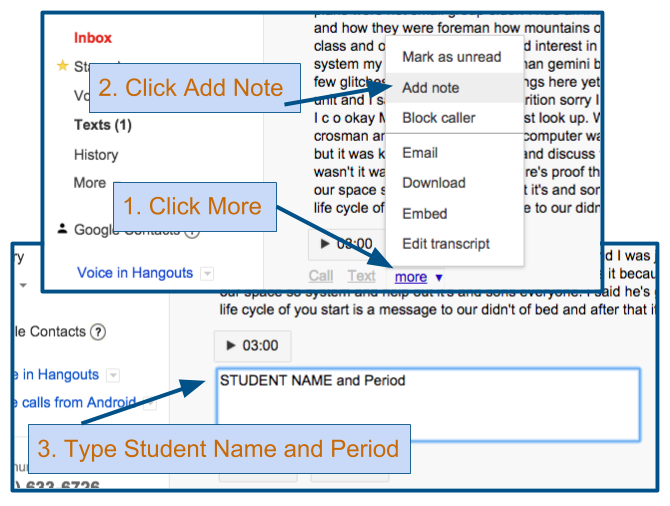 When I listen to the calls, I add a note to each message with the student's name and period. This means that later I can search their name on my Google Voice page and find that message again. I continue listening while I record their points in my gradebook. Then I usually move on to the next message. I have over 100 students. Google Voice will let each caller leave up to a three minute message. At three full minutes each, that would be five hours of listening. I sadly don't have that much time, so I listen to most for just long enough to add the name to the note and record the grade. But this is not about me or my listening. It's about my students getting a chance to read their work and all the benefits they get from that experience. Though most already read a draft of their writing to their writing group, they now get to read the final draft one more time. This is one more chance for them to actually proofread their text. I want to know when I read their docs that they really had every possible opportunity to see their own errors before I start commenting on their papers. For me it is also a chance to hear them reading without having to call on them in class. And there are always a few I end up listening to longer, just to assess their reading or hear more of their voice. I get to hear them pronounce their own names. At the beginning of the year this is really helpful. Plus, they are reading their own writing, so they are more comfortable with the text. It is fluency practice that many really need. It is a chance to learn how to dial a phone number, which a surprising number of my students struggle with. It is an opportunity to learn about leaving a clear voice message. It is also a great incentive for many to finish their assignments on time. They have to finish that essay to be able to read it for full credit on the first day they can call it in. When I go to meetings about a student and mention that I have a recording of them reading, their parents, case managers, and speech therapists get pretty excited. With the parent's permission I have even been able to email the voice message directly to the speech therapist. Even though phone lines flatten out many nuances of speech, I have heard from World Language teachers who have students call in and read in the target language just for practice. Elementary teachers can have students call in and read from their writing or a favorite book. 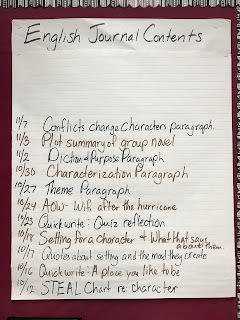 Groups of students working together can call in and report on their progress or have a few minutes of their discussion recorded. Google Voice is also great for text messaging. I've written about that use before HERE, but my favorite part is that when a student sends me a text I get an email. I can reply to that email and they get a text. 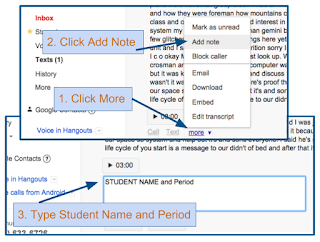 You can embed Google Voicemails, so you can call your own number, record yourself giving some directions and then link your students to that recording. Google Voice is probably the most unknown, but tremendously useful of Google Tools. You know you want one. Directions for setting up your account are here.